Are you afraid of heights? 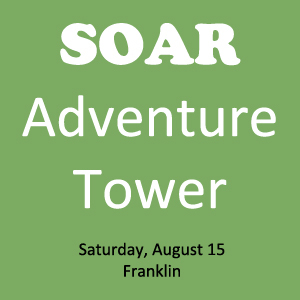 Well, the new SOAR Adventure Tower in Franklin that is scheduled to open on Saturday, August 15 may just cure you of that problem. The tower has been designed to accommodate people of all ages, including climbers as young as three years old. If they can climb it, surely, you can too! The tower has four levels with more than 100 climbing elements that provide a challenge for children, teens and adults. The first level (ground level) is geared towards children, ages three to seven years old. The other three levels are to challenge the older climber with the second level being 15 feet above the ground; the third level at 30 feet above ground and the fourth level being 45 feet above ground. Each level provides an interactive experience full of mental and physical challenges for the climber. The final challenge is the Quick Jump – Free Fall, which is done from the top of the tower. The climber jumps from the 45 foot ledge and free falls (at a controlled speed) to the ground level. Measures have been taken to ensure your fun and safety. The experience you have on The Tower is completely your own. You may climb as high as you would like and each level gives the climber three different elements from which to choose. SOAR Adventure Tower is also hiring adventure guides and applicants must be at least 17 years old. SOAR Adventure Tower, 3794 Carothers Parkway, Franklin 37067. Hours: Monday through Thursday, 12 p.m. to 9 p.m.; Friday and Saturday, 12 p.m. to 10 p.m. and Sunday, 10 a.m. to 8 p.m. Day passes and memberships are available. Contact SOAR for more information. Oh, wouldn’t it be wonderful if every day were a tax-free day in Tennessee? Well, since it is not, take advantage of the upcoming Tax-free Holiday, which is celebrated annually in the state of Tennessee. The holiday dates this year are Friday, August 7, starting promptly at 12:01 a.m. and the tax-free period continues until the clock strikes 11:59 p.m. on Sunday, August 9. Store coupons reducing the value of an item to less than $100 makes that item eligible for the tax-free status. Internet sales delivered to Tennessee also qualify during this holiday period, so if you prefer to stay home and shop, that is an option. Taxable services for labor and rental costs are not exempt during this period. Note: Something to consider. Tennessee charges seven percent (7%) tax on taxable items. Be sure the savings is worth the purchase before spending money that would be better saved. 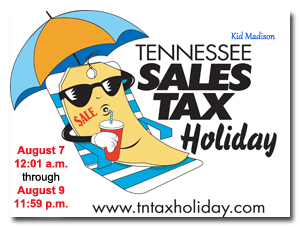 Learn more about Tennessee’s Tax-Free Holiday. The Jackson Symphony Youth Orchestra (JSYO) continues to provide children and teens an opportunity to hone their musical talent as well as experience performing in a professional setting. As it begins its 17th season under James Weil, the JSYO is seeking serious musicians to participate in its new season where members will present three concerts along-side The Jackson Symphony during its 2015-2016 season. 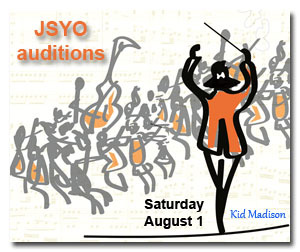 Auditions will be held on Saturday, August 1 starting at noon in the Union University Rehearsal Hall for students who play any string instrument, standard orchestral brass and woodwinds, or percussion and are interested in participating (audition requirements) in the JSYO. Students must audition to be considered and will receive an audition time once their audition form and fee have been submitted. Students, grades sixth through twelfth, will be considered. There is less than one week before students return to school in Jackson Madison County and teachers are steadily getting ready for the children as well as the parents. Several schools around the county will open their doors for open house and orientation allowing students and parents an opportunity to check out their school and meet their teacher. If you do not see your school listed below or would like more information contact your student’s school. Grades first through fifth, 4 p.m. to 4: 30 p.m.
Parent Meeting 4:30 p.m. to 6 p.m.
Visit Classrooms 4 p.m. to 6 p.m.
Pre-kindergarten to second grade, 5:30 p.m.
Third through fifth grades, 7 p.m.
Kindergarten, 5 p.m. to 6 p.m.
First through second grades, 6 p.m. to 6:45 p.m.
Third through fifth grades, 6:45 p.m. to 7:30 pm. A mob is headed to Jackson City Hall on Saturday, June 13. Instead of carrying sticks and stones, they will have books in their hands, ready to participate in the Reading Flash Mob hosted by the Jackson-Madison County Library. This is the first time the library has held such an event. Brewer shared Library Director Dinah Harris is always looking for ways to reach out to the community and encourage reading. The hope is people of all ages will come out and be a part of the Reading Flash Mob, which is also a way the library is promoting its Summer Reading Program that has activities for children, teens and adults. 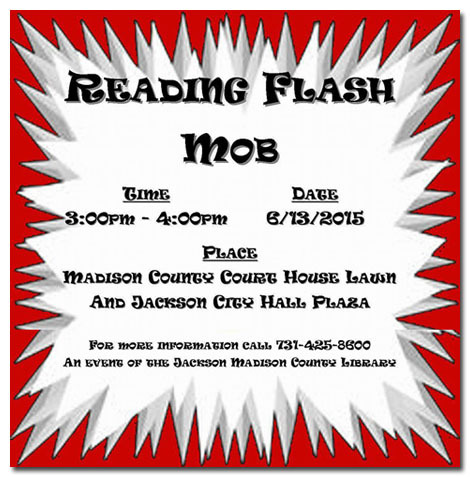 The Reading Flash Mob will be from 3 p.m. to 4 p.m. at the Madison County Courthouse lawn and Jackson City Hall Plaza. People are encouraged to bring a lawn chair or blanket, and find a comfortable place to sit and read. If you do not already have a book to read, stop by the library before going to city hall and check out a book. All you need is a library card. Call (731) 425-8600 for more information. Do you need a library card? Bring a photo ID with your current mailing address and a piece of mail or lease with your current address. Obtaining a library card is free. Your child may just be in elementary school, but they can attend college now at the annual Kid College summer program hosted by UT Martin. The program has been offered to West Tennessee children in kindergarten through the fifth grade for 25 years. This summer, children may attend Kid College at six locations – Jackson, Martin, Paris, Parsons, Ripley and Selmer – with classes beginning June 1 and running through July on a five-day schedule. Check each location to see the offered classes and the dates they are held at that site. Pricing will also be determined by the site you choose. Parson, Jackson and Selmer have a registration fee of $85 for the offered classes, and Martin and Paris fees are $30 for the first class and $25 for each additional class. A materials fee may apply. Class offerings are ones that cover a wide range of topics that interests children with titles like Discovering Art in Nature, Football Fun, Hands-On STEM, Jr. Space Camp-Mission to the Moon, basketball and cheerleading for students in kindergarten through second grade and Basketball 101, Cheerleading!, Chemical Reactions, Hello Cupcake with Mrs. Baker!, LEGO’s – Simple and Powered Machines, LinguaKidz – Spanish, Photography 101 and Sketch Studio for students in third through fifth grades. Students may attend individual classes or the five-day session. Registration is open now and space is expected to fill quickly. Call (731) 881-7082 for more information. Pizza Hut continues to offer a creative way to encourage young readers. Read books, eat pizza. It is as simple as that. The Book It! program has been a unique tool in motivating young people to pick up a book and read by recognizing their reading accomplishments with a free pizza. The teacher establishes monthly reading goals for each student that can be tailored to his reading ability. If a student is not yet reading independently, a parent or other reader may read to the child to help him achieve his goal. Once the student has achieved his reading goal at the end of the month, he is rewarded with a Reading Award Certificate that can be redeemed at any participating Pizza Hut restaurant for a personal pan pizza. Participation is easy for teachers who can enroll their students through their school. All materials (ex: Reading Reward Certificates) for the program are provided for free to schools. Students in schools across the nation have participated in the Book It! program, which has been easily adapted to work with other educational initiatives in the school. According to the Book It! program website, there were six schools (Jackson Careers and Technology Magnet Elementary School, Jackson Christian School, Lincoln Magnet Elementary School, Northeast Middle School, Pope Elementary School and Thelma Barker Elementary School) in the Jackson area that participated in the program during the 2015-2016 school year. It would be great to see those numbers increase. Registration is now open for the 2016-2017 Book IT! program, which begins October 1 and ends March 31. Students attending all schools (homeschool, private and public) are eligible to participate. If your child attends a private or public school, they will need to register through their school. If a your child is homeschooled, you may register online. 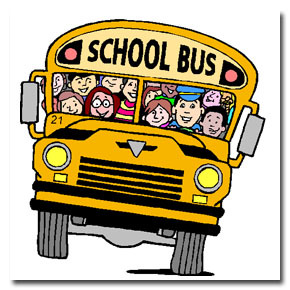 Eligible students must be in kindergarten through sixth grades and ages five through 12 years old. All participating kindergarteners must be five (5) years old by September 1, 2016 to participate. The program is only open to schools and not clubs or organizations. This offer is open to students in the United States. Enrollments will be accepted through September 1st. 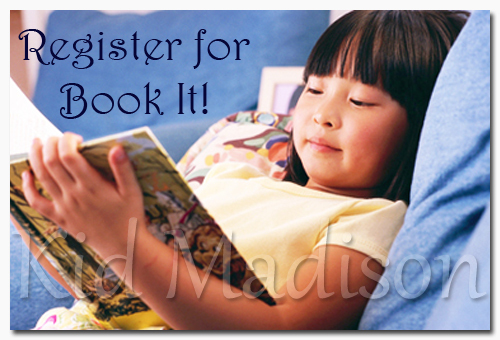 Register your homeschool student or school today! Find a participating Pizza Hut location near you. Don’t miss a thing! 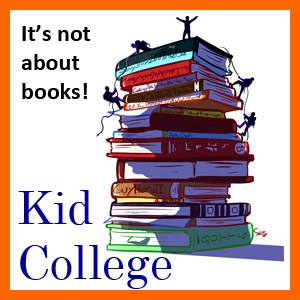 Subscribe to the Kid Madison blog and get our articles in your inbox! ©2015-2016 Kid Madison. Article by Jennifer Smeltser. All rights reserved. All text, photographs, artwork and other content may not be reproduced or transmitted in any form without the written consent of the publisher http://kidmadison.com/. 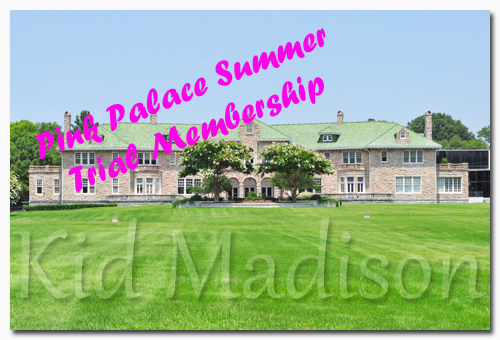 The Pink Palace Museum is back with its summer special offer that includes a Summer Trial Membership giving you 90 days of free access to its family of museums. The membership may be used at the Pink Palace Museum, the Historic Properties and the Lichterman Nature Center. The Summer Trial Membership is valid for two adults and up to 10 related children that are 17 years old or younger. The membership is a personal family membership, expires Wednesday, August 31, 2016 and you must sign up online by Tuesday, May 31, 2016 to take advantage of the offer. You may sign up any time during the month of May. Once you register, your 90 days begins. Registration is easy and can only be done online. Once you hit the submit button, your membership card will be immediately available and ready to use. Get your membership now! I use to collect Mad Magazine comic books. I couldn’t wait until it arrived in the mail each month and after I was finished, I added that issue to my growing stack. Somehow, my love of comic book reading diminished and I couldn’t tell you where my Mad stash is located. My children enjoy reading and comic books have been found in their hands. They enjoy the traditional comics and have also read graphic novels of famous people like Betsy Ross, Martin Luther King, Jr., Amelia Earhart and more. On Saturday, May 7, participating comic stores celebrate Free Comic Book Day (FCBD), which is held on the first Saturday in May each year. This celebration began in 2002 and has continued to grow becoming an international celebration. Most of the shop participants are independent stores, but there are enough of them where you are sure to find a comic book store near you (find a store) that is participating. According to the FCBD website, Comics Universe in Jackson is a participant in the event. Each store will be giving away comic books according to its FCBD policies. It may be best to arrive early to get in on the best offerings, but also showing up towards the close of business may find a generous clerk ready to offer everything they have left for the day. Here is a list of some of the Gold and Silver comics that may be offered at a store near you. 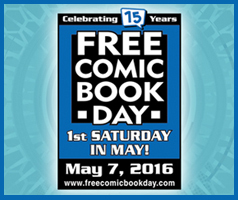 Read more about Free Comic Book Day and find a participating store near you. Contact Comics Universe at (731) 664-9131 for more information. 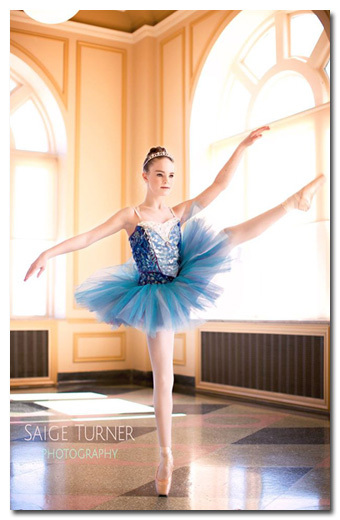 At just 13 years old, ballet dancer Sarah Gibbons will grace the stage in Ballet Arts’ upcoming production of Snow White as the young Snow White. This is Gibbons first solo performance in a Ballet Arts production and one that comes after 11 years of study in her craft. “I have been in Ballet Arts under Ms. Pat (Brown) for three years and I have taken dance lessons from Kim Holley for 11 years,” said Gibbons, who will also play a butterfly in the production.